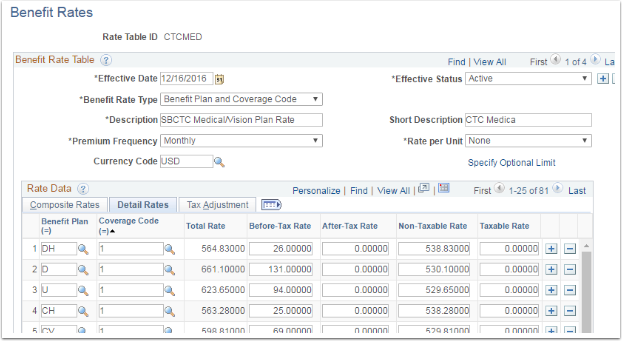 Purpose: Use this document as a reference for how to understand the rate table construction and relationship to program and payroll at a high level in ctcLink. 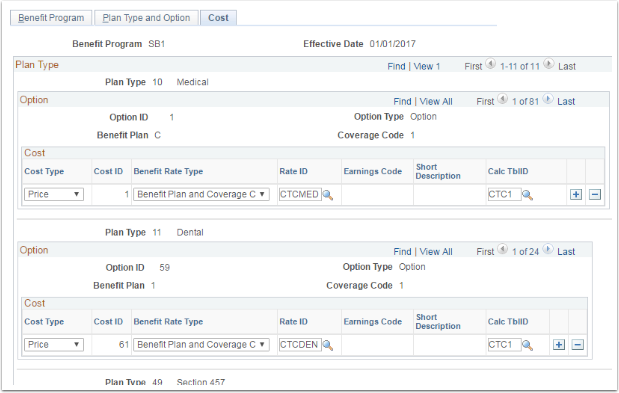 Every Benefit Program makes sure that it creates a group of options that include: Plan Type, Benefit Plan, and Deduction Code. 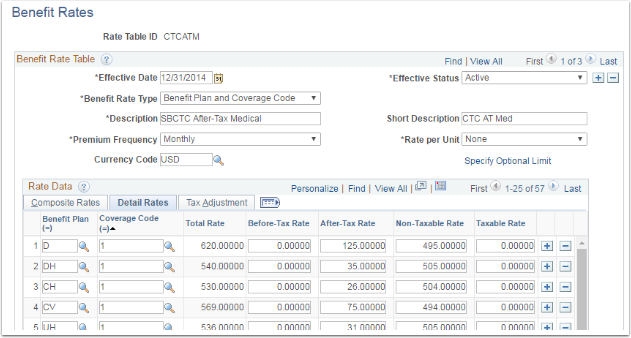 The Benefit Program table should be updated when a Plan Type, Benefit Plan, or Deduction Code is changed, added, or deleted. 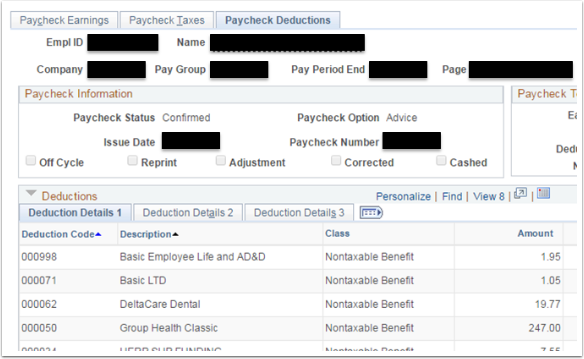 Benefit Rates are stored in Benefit Rate tables which reflect the actual amount that will come out in the payroll deduction it has been associated with in the Benefit Program Table. 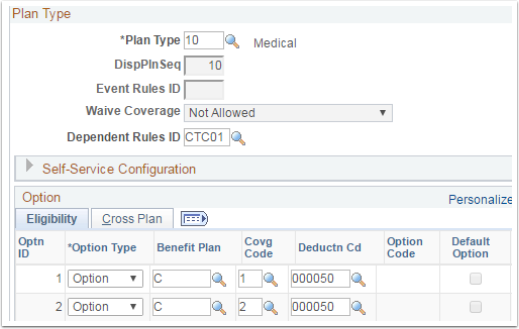 Deductions are mapped to a number in the Program Table, and the amount being taken by Payroll is mapped in the Rate table, but the actual Deduction lives in the Payroll area.